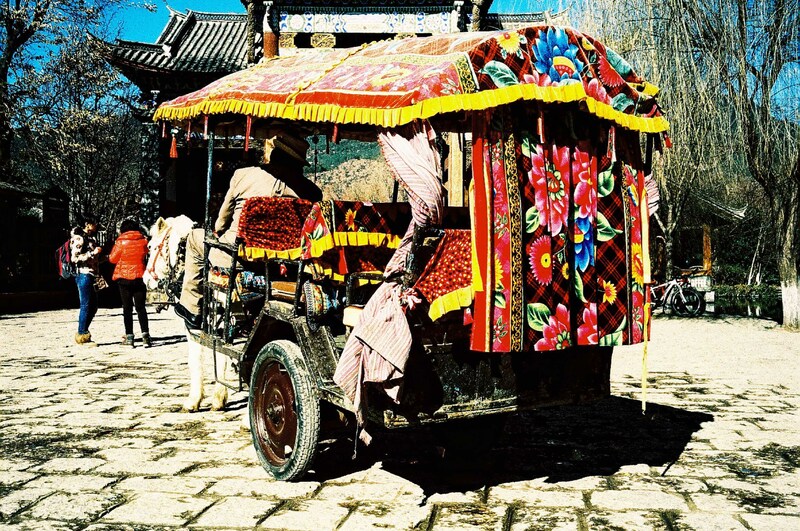 Those who do know of Lijiang know it largely for its history. The “Old Town” within the city is designated as a UNESCO World Heritage Site, and has retained an historic townscape of high quality and authenticity over several hundred years. Back in the 14th century, this part of Lijjang was a busy area for trade and commercial activity. This rich history is apparent even now. The city has been built up around the Old Town, and the surrounding country is also part of the area’s attraction, but history lovers will appreciate that the heart of Lijiang is largely unchanged since the 1300s. Lijiang is among a select few places in the world said to have influenced the legendary Shangri-La. This is a fictional, spiritual/utopian land first written about by James Hilton, which has since been portrayed in numerous ways. The Legend Of Shangri-La slot game online specifically acknowledges Hilton in crafting a setting to fit the idyllic picture from his novel Lost Horizon. Meanwhile, the game Far Cry 4 presents Shangri-La as a more dangerous but also a more spiritual place. The place never existed but Hilton is known to have drawn from the writings of two French priests who travelled through the northern Yunnan province, right by Lijiang. So, this is a part of China that has claims to both history and fiction. Best of all, however, it is also a beautiful and relaxing place to spend a few days (rather than just being an interesting place to read about). Here are some of the things you might consider seeing and doing should you ever travel there. 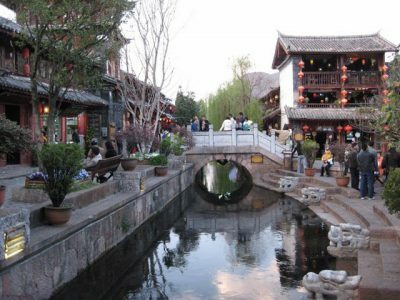 The Old Town is truly a highlight of Lijiang. You’ll see beautiful old buildings and cobblestone streets, enjoy little shops and eateries along the way, and generally lose yourself in the history of Lijiang. This is a nearby village that is known to be the first settlement of the Nakhi (or Naxi) people, who are a unique ethnic group with their own cultures and traditions. Baisha gives you an excellent sense of history, and also showcases some Tibetan-inspired art (which may touch on some of the influences for Shangri-La). If you’re looking for more of the natural beauty typical of rural China, or even legends of Shangri-La, look no further than Lugu Lake. Just over 100 miles outside the city, it’s still considered a must-see destination – ‘like a beautiful pearl shining among the hills’, as one review put it. 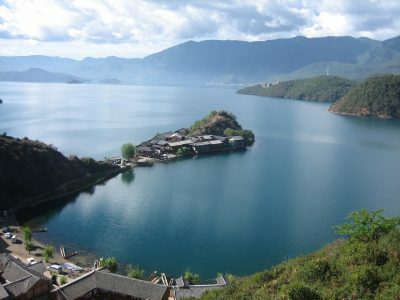 This is another place for incredible scenery, and perhaps holds even more of a storybook quality than Lugu Lake. It’s actually just a walk away from Old Town Lijiang, and consists of a famous marble bridge, stunning temples, and beautiful scenery of the pond itself and the nearby mountains. This is not a hike, so “scale” may not be the right word. 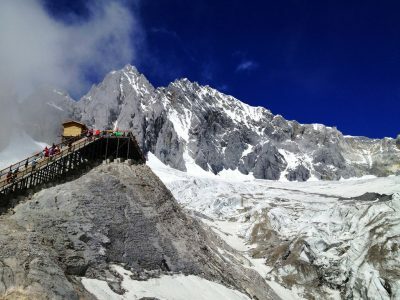 However, you can take a cable car to the top of this peak just outside of town, and enjoy breath-taking scenery. If you’re more interested in hiking, consider Tiger Leaping Gorge – but for the best views, the cable car is the way to go.